MARQUETTE — The Fourth of July is a day of celebration and the Marquette Blues American Legion team was in a celebrating kind of mood. 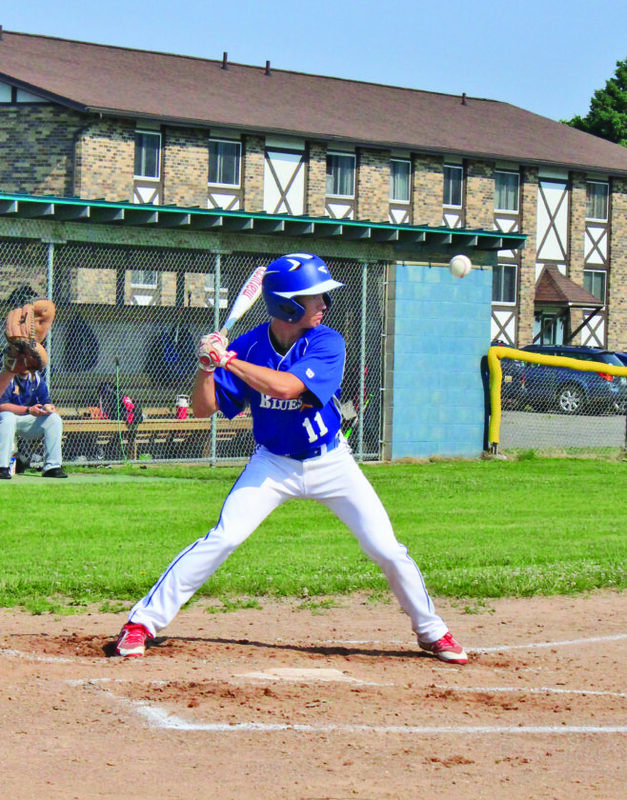 The Blues took an early lead Wednesday and held on in the late innings to defeat the Negaunee Diamonds 9-5. Marquette got on the scoreboard first with two runs in the bottom of the second inning and then plated three more in the third inning to take a 5-0 lead. However, Negaunee started to rally in the fifth as the Diamonds put two runs on the board to cut their deficit to three, but every time they’d push a run across the plate, Marquette would extend its lead in its half of the frame. The Diamonds got one more run in the top of the seventh to pull within four of Marquette, but they couldn’t close the gap any further and the Blues prevailed. Marquette was led offensively by Blake Henriksen, who went 2 for 2 with a double, an RBI and two runs scored, while Jon Jason had a double and two RBI. The Diamonds’ leader at the plate was Adam Ogea as he went 2 for 3 with a double and two runs scored. Carter Richardson chipped in two hits and a run scored for the Negaunee offense. Brady Wright earned the victory in relief for the Blues as he gave up five runs on nine hits in three innings of work. Tanner Peterson took the loss for Negaunee as he surrendered four runs on three hits with five strikeouts and three walks. The Diamonds host a tournament at LaCombe Field Friday at 6 pm., while the Blues head east for a tournament in Sault Ste. Marie that runs from Friday to Sunday.